Here are our stud enclosures we built in our garage. 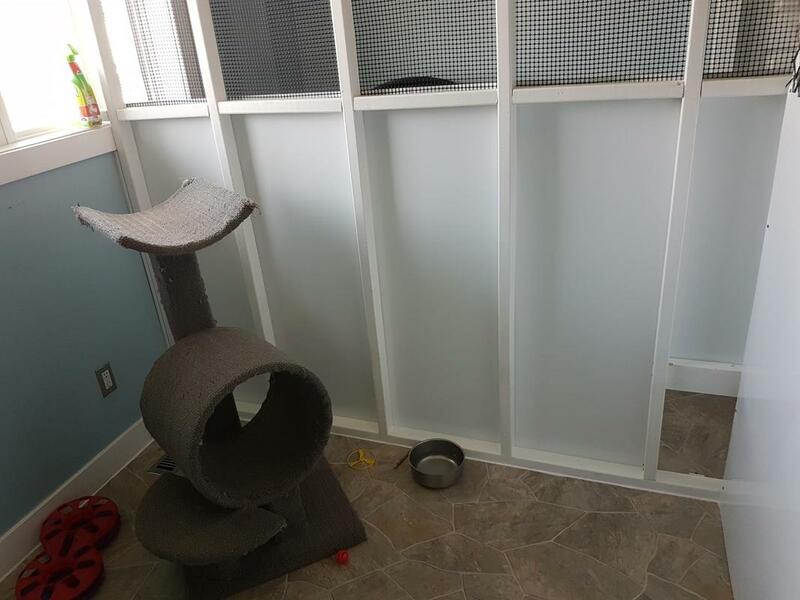 We wanted to make sure our studs enjoyed their new home so there is lots of room for them to run around, it even goes right up to the ceiling (12'high) in half of the cage with some high shelves for them to perch on. 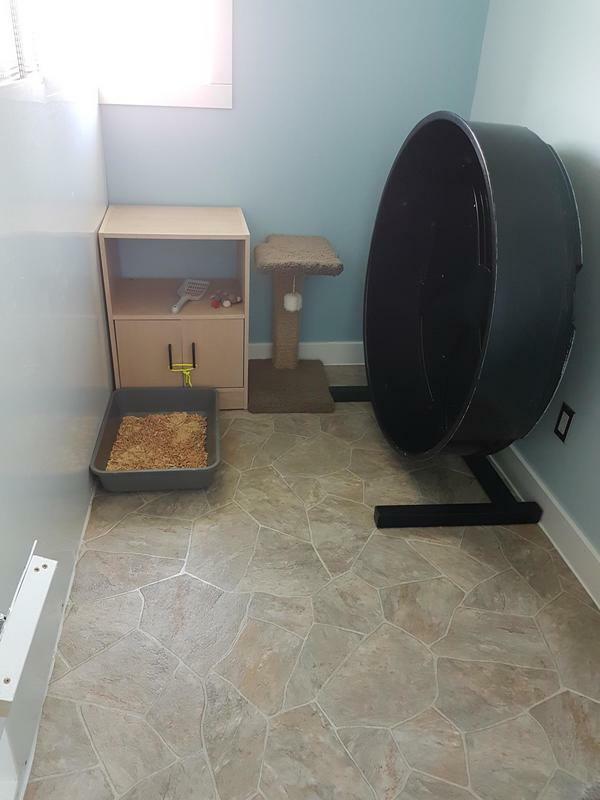 Most of the cage is enclosed using a thick plastic mesh to allow for maximum airflow, the rest is covered in vinyl flooring for easy cleaning as well as a raised vinyl floor for warmth. 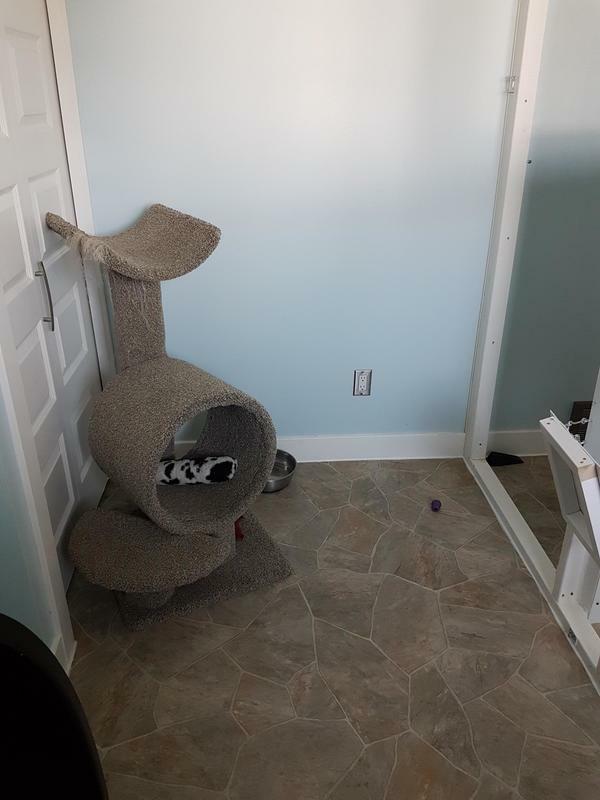 There is a ledge at the window for the boys to enjoy the sun and the view, and on warm days we can open the garage door to give them lots of fresh air. 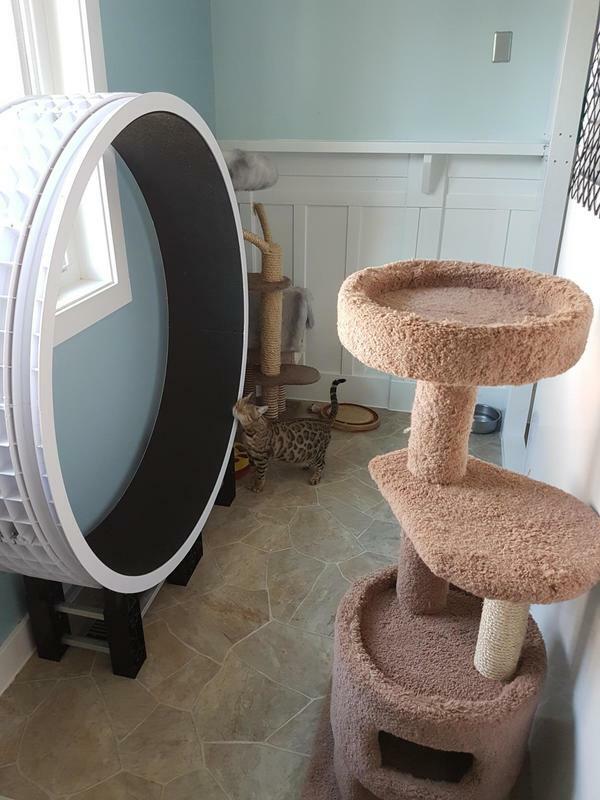 We have a cat wheel in each cage for entertainment and exercise and there are a couple cat trees in each cage for them to play on. The garage is fully insulated and heated/air conditioned. The cats absolutely LOVE their outdoor enclosure. There are many places for them to climb, water and grass to play in, rocks to sun themselves on, and lots of space to run and chase each other! 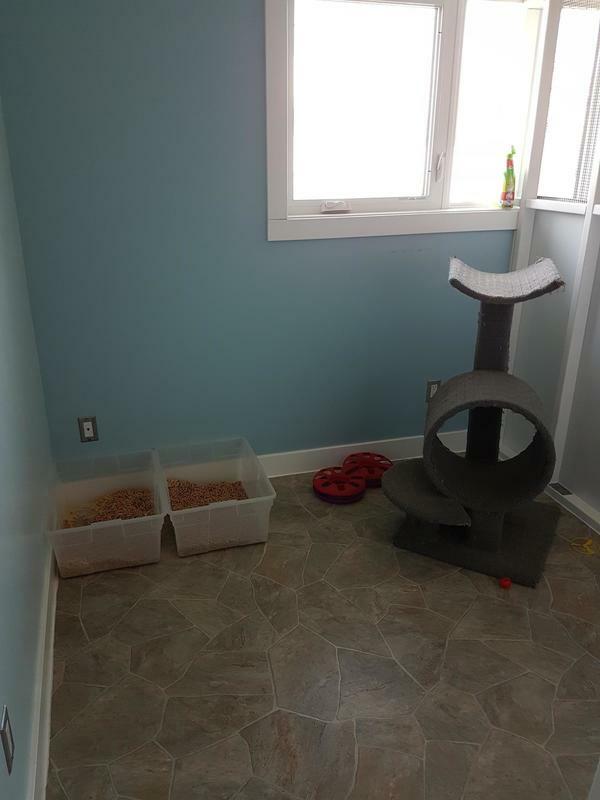 Both kitten rooms are spacious and easy to clean for those kittens learning to use the litter box. There are several cat trees for the cats to climb on and lots of toys to play with. Both rooms have a window for fresh air and natural sunlight. 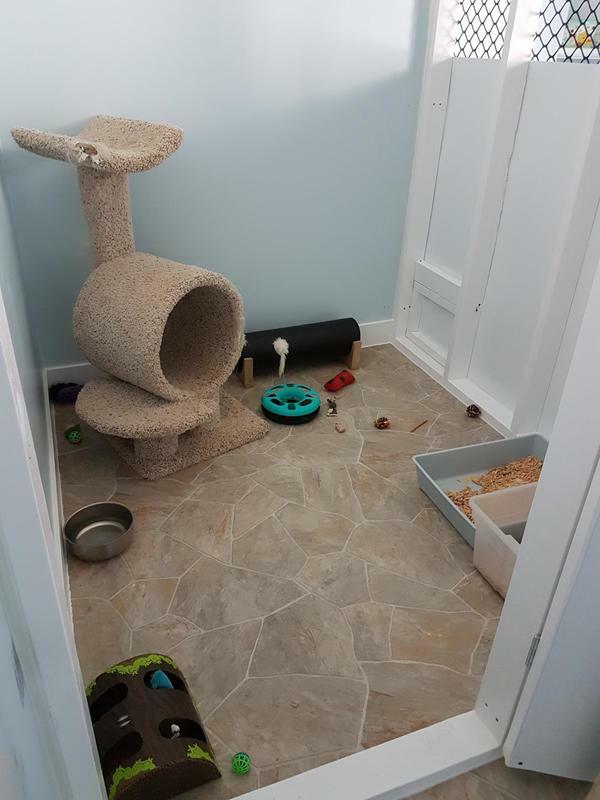 We have two kitten rooms with a doggy door to allow for cats to have access to the whole room when separation is not required. 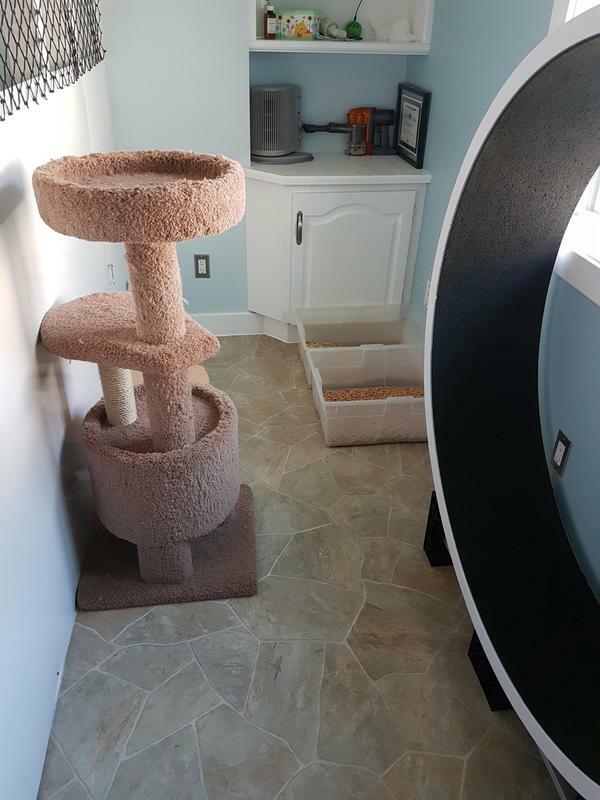 Cats have access to cat wheels, cat trees, and lots of toys!